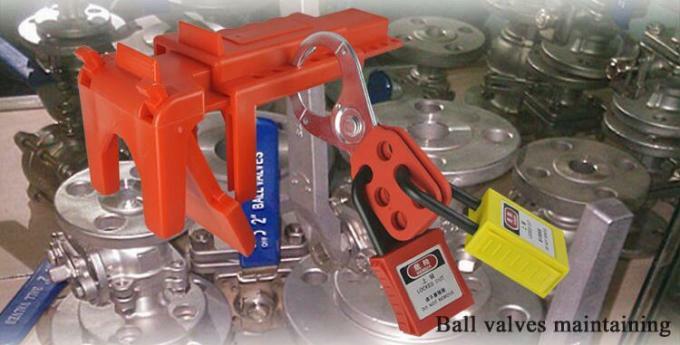 This padlock is our new designe steel shackle padlock with GMK key system. The key length and body length longer than other padlocks. 4. Widely applied to chemical, electrical, automobile industry, etc. 8. Laser printing and logo engraving available if required. 1. Durable non-conductive PA body, withstand tempwerature from -57 °C to 177 °C and impact resistance, metal shackle with chrome plating. Non-conductive lock shackle made from impact Dupont Nylon. 2. In consistent with regulations of OSHA 1910.147. 3. Preventing chemical, extreme temperatures and UV rays. 4. Different key charting system, aliked keys, differ keys, and master keys available. 5. 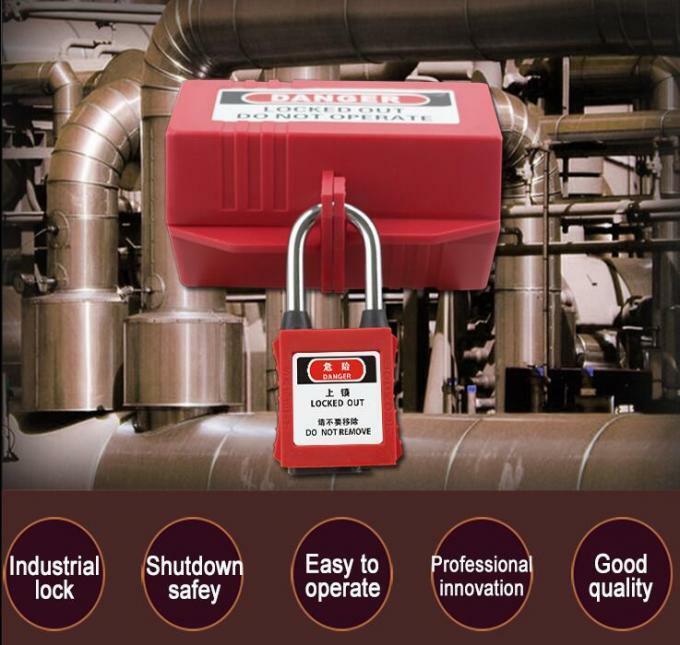 All colors available, with 4 different lock bodies and shackles.Laser printing available. 11. 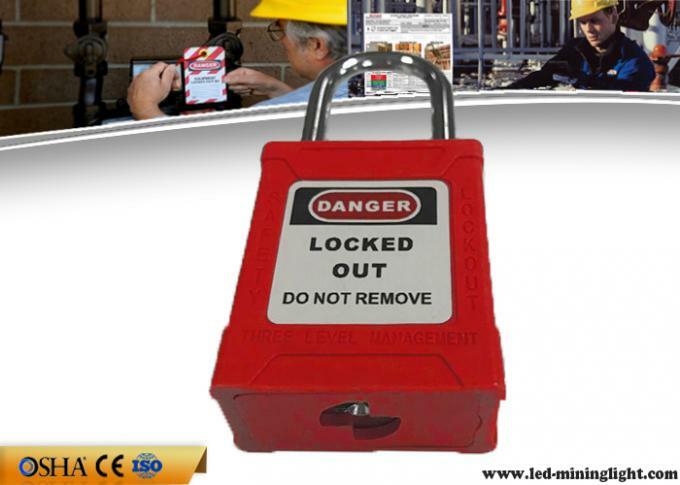 Lock & key number records for this range can be maintained by Reece Safety upon request. KD:Each padlock is keyed differently,the key for one lock should not open another. KA:Each padlock is keyed the same,1key will open all padlock in each group. 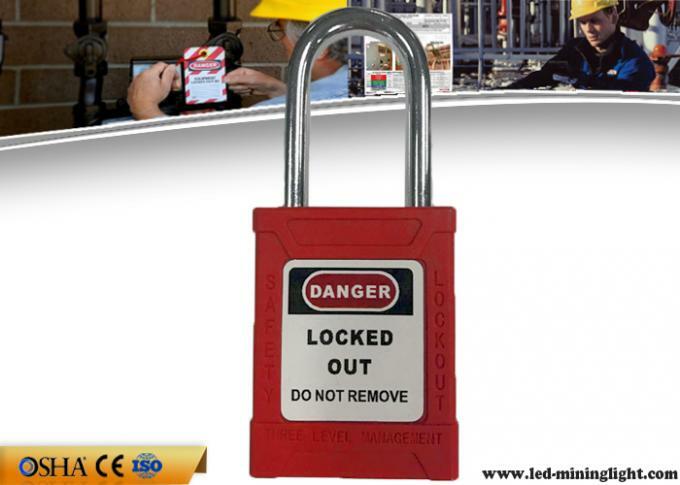 MK:Each padlock is keyed diffently,A master key will override and open any of these padlock. 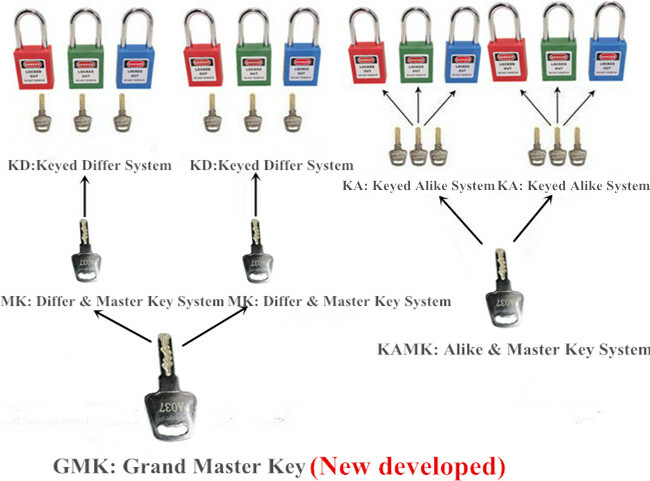 KAMK:Each padlock is keyed the same in one group.A master key will override and open all groups of Alike keyed. Samples are avaliable for Testing and Market Test. Green Lighting provides warranty against defects in materials and workmanship, We strictly control every production process, the product provides 6 tests before leaving factory. C.How to solve some quality problem? Hours After-service consultancy just for you and to make your problems to solve easily. Our OEM service is strictly based on the ISO9001 ISO14001 quality assurance system.The TOP involves the effective teamwork of departments from Sales, R&D, and Engineering, Purchasing,production&QA, assuring a high quality product and prompt delivery for customers. The standardization of our quality system and the quality stability has earned us the trust of our customers for 9 years. Q: Could I put my own logo on the products? A: Sure, your logo can be put on every lock body, either by laser, or by moulds. Q: Could I put my own designs of label on the products? A: Of course, you can send us your design, we'll follow your design. Q: Can I have some samples before formal order? A: Yes, we can send you some free samples for your test before your order. A: Normally we keep stock for most products, the lead time is 1-5 days as soon as the payment is released. For customized products, it takes longer. Q: How about the after-sale service? What's the Warranty terms? A: We offer 12 months for every products we sold. If you meet any problems after sales, pls contact us freely, we'll help solving the problems within 24 hours. Q: Are you manufacturer or just dealer? A: We're manufaturer, we do produce all products by ourself. Welcome to visit our plant at any time. Q: What's the payment terms? Can I pay after you got the products? A: Normally we accept TT and western union. L/C is also accepted if the order quantity is large. For old customers, we'll guanartee monthly payment after good cooperationship. Q: I couldn't find the products I want in your catalogue, can you develop it for me? A: Yes, we have a research & development dept., we're willing to develop everything that you demand in safety lockout industries. Q: Do you have any office in other countries? A: Currently we don't have, but we're discussing with some good customers. If you're willing to be our agent in any countries, pls contact us freely.